Dr. Deaver attended the University of Nebraska-Lincoln, where he received his Bachelor of Science degree in 1980. He went on to attend the University of Nebraska Medical Center in Omaha, where he received his M.D. in 1984 and completed his residency at the University Hospital in Omaha in 1987. Dr. Deaver has been with Tri Valley Health System since 1987 as a family practice provider. Dr. Deaver provides OB/GYN services, endoscopies and allergy consultations. Originally from Chappell, Nebraska, Dr. Jaeger received her undergraduate degree from Cornell College in Mt. Vernon, Iowa in 1994 with majors in biology and bio-chemistry. She graduated from the University of Nebraska Medical Center in Omaha in 1998 and completed a three-year family practice residency program in Cheyenne, Wyoming, in June 2001. Dr. Jaeger provides OB/GYN and family practice services. Karinne grew up in Cambridge observing her father, Dr. Deaver's passion for practicing medicine. She always knew that she wanted to be part of the healthcare team to share his passion and serve others, too. She attended the University of Nebraska - Lincoln, graduating with a Bachelor of Science degree in Psychology in 2011. She then attended Union College in Lincoln and received her Master of Physician Assistant Studies degree in 2016. ​Originally from McCook, Nebraska, Candice Haddon received her Bachelor of Science degree in Nursing from the University of Nebraska Medical Center. She worked as a Registered Nurse for 20 years in the rural acute care setting and as a transport flight nurse. Her passion for her patients led her to advance her schooling and training to become a Nurse Practitioner. She graduated with a Masters Degree in Nursing in 2017 from the University of Nebraska Medical Center. Dr. Kaspar-Cope completed her undergraduate work at the University of Nebraska-Lincoln, and then entered the University of Nebraska Medical Center, where she earned her M.D. in 1993. Dr. Kaspar-Cope is board certified in Family Medicine and has been since 1996 upon completion of her residency training in the Primary Care Program. Dr. Kaspar-Cope provides OB/GYN services. Dr. Kaspar-Cope is a member of the Regional Head Start Medical Advisory Board and has served as Associate Medical Director for the Good Samaritan Hospice Board. 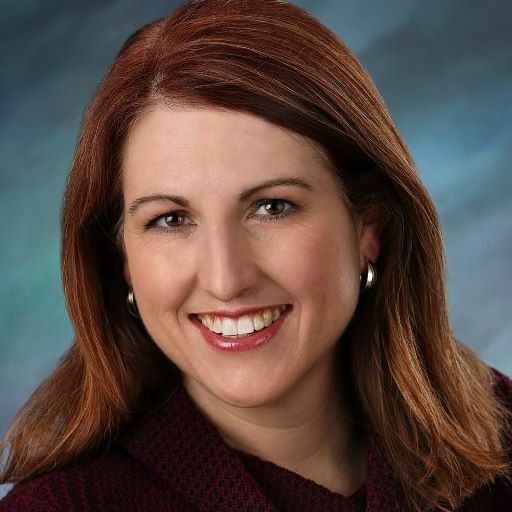 ​Kyleen completed her undergraduate work at the University of Nebraska at Kearney in 2005 and was awarded her Master of Physician Studies (MPAS) degree from the University of Nebraska Medical Center in Omaha in 2007. Kyleen practices Family Medicine and also runs Tri Valley Allergy Clinic along with Dr. Deaver. Sarah recently relocated to Cambridge from Ohio. She received her Bachelor degree in Natural Science from Alderson Broaddus College in West Virginia in 2007 and her Master of Physician Assistant Studies degree from Alderson Broaddus College in 2009. Since then she has practiced in rural health clinic settings, private family practice and most recently at the Cleveland Clinic. Raised in Lincoln, Nebraska, Angie graduated from nursing college at UNMC-Kearney. After 18 years as an RN in rural Dawson County working in the hospital setting, obstetrics and hospice care, Angie obtained her Masters Degree in Nursing and National Certification as a Family Nurse Practitioner in 2012. Since then she has practiced in family practice and primary care settings.